One of the most popular ways car dealerships attract new customers is through special financing deals such as 0 percent financing. If you qualify, you won't pay interest charges on your new car. Every payment you submit goes toward paying down the loan's principal balance. Dealerships generally restrict these deals to well-qualified buyers. Your credit score must meet or exceed the dealership's standards before it will grant you 0 percent financing on your purchase. 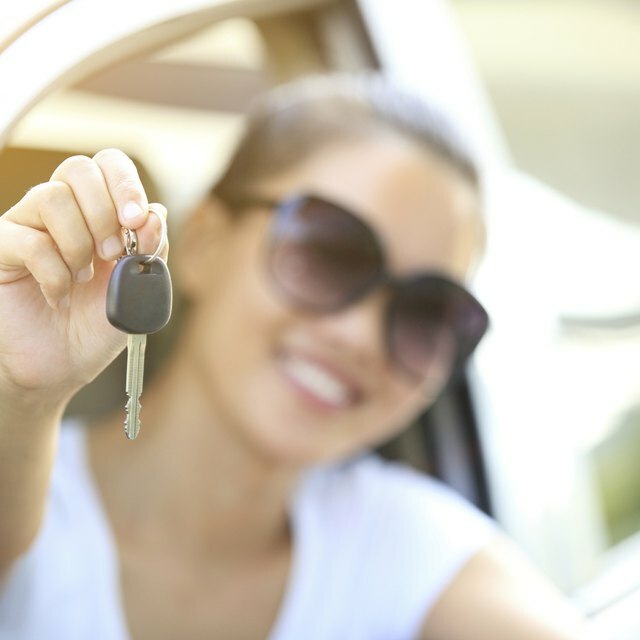 Before you walk away with an interest-free auto loan, the dealership needs to ensure that you're reliable enough to make each payment on time. In addition to verifying your income, the dealership will pull and review your credit scores. The higher your credit scores are, the more likely you are to qualify for 0 percent financing. Although most major auto manufacturers authorize dealerships to offer special financing from time to time, each dealership's criteria may differ. In general, however, you shouldn't expect to qualify for 0 percent financing unless your scores exceed 700. Dealerships with particularly strict standards will require that you carry scores of 720 or higher to qualify. A car dealership isn't restricted to only your FICO scores and credit reports when making lending decisions. The Fair Isaac Corporation -- the same company responsible for calculating FICO scores -- also sells specialized scores tailored to the automotive industry. Known as “auto industry option” scores, these ratings place greater importance on how you managed previous auto loans. A car dealership can use your FICO scores, auto industry option scores or both when deciding whether or not you're eligible for 0 percent financing. Although 0 percent financing can save you a considerable amount on your total purchase, it won't necessarily lower your payments. Many dealerships require that you commit to a shorter-term loan when you accept 0 percent financing. A shorter-term loan increases the amount you pay each month. Ironically, this makes standard financing a more affordable monthly option for some buyers. If you qualify for 0 percent financing, talk to your car dealer about your payment options. Some dealerships will agree to a longer loan term if you request it. It takes a full seven years for negative information to age off your credit report. You shouldn't assume that just because you have a few black marks on your credit that you're doomed indefinitely. The Fair Credit Reporting Act gives you the right to dispute mistakes and inaccuracies within your credit history. If the information provider cannot verify the information it reported, the credit bureaus will delete the negative entry. You can also raise your credit score simply by practicing smart debt management habits. If you keep your debts low and pay all of your creditors responsibly, your credit will gradually improve over time. Kelley Blue Book: Zero Percent Financing – Financial Fact or Fiction?